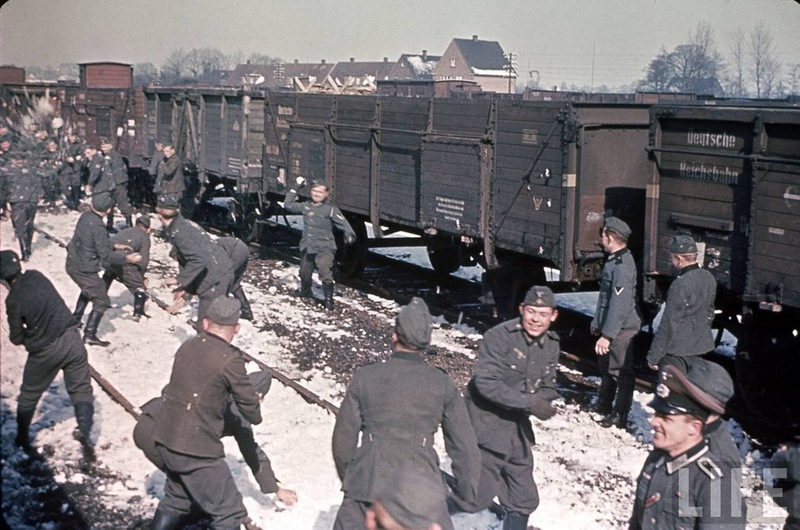 When you think of the horrors of Nazi Germany and everything it, and the Hitler Youth represented, it’s hard to remember that for these kids, it was just like being in the Boy Scouts. I can easily see these same faces camping in a tent in BSA uniforms. It also makes one wonder how many of these smiling boys survived the next seven years. 1938. Stuttgart, Germany. “Von der 6. 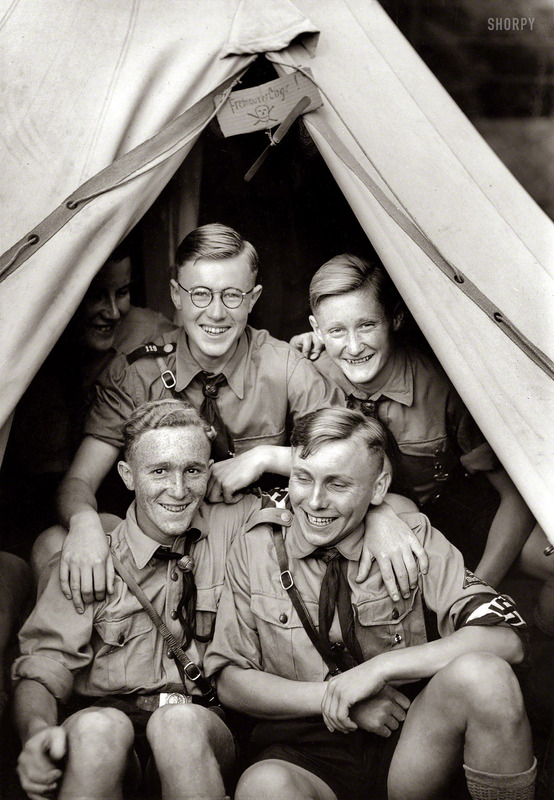 Reichstagung der Auslandsdeutschen (Hitler Youth in tent during festivities for the 6th Annual National Days of Foreign Germans).” Photo by Heinrich Hoffmann, Kochstraße 10, Berlin. On May 6, 1937, the German airship Hindenburg, the prize of the Nazi commercial air fleet suddenly and tragically ignited, burst into flames and crashed in Lakehurst, NJ. 35 people on board the airship adn one on the ground perished, making it one of the worst air disasters of the time, and sounding the death knell of the zeppelin/airship era in aviation. This is the actual newsreel footage, shot by Pathé of the ship itself, the entire ignition and burning, and the aftermath from 1937.